LET US LEAVE A LEGACY TOGETHER ! from within Saudi Arabia and abroad. To enhance the quality of cardiac surgical care in Saudi Arabia. To represents the views of cardiothoracic surgeons and allied professionals in Saudi Arabia. To develops guidelines for national cardiac clinical practices. To promote the training and education of young cardiac surgeons in Saudi Arabia. To advance research in the field of cardiac surgery in Saudi Arabia. 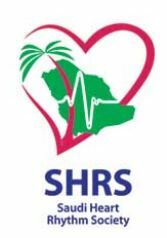 Establishment of the Saudi Cardiac Surgery Society (SSCS). Establishing the bylaws of the SSCS. Establishment of national DATA base to improve national cardiac surgery services. Propagating the spirit of collaboration among Saudi cardiac surgeons. 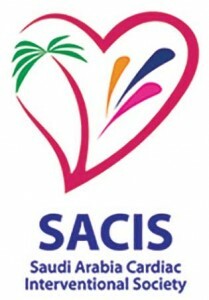 Saudi Arabia Cardiac Interventional Society (SACIS)will represent the Cardiovascular Intervention in Saudi Arabia and will be an active transparent and dynamic organization of high impact on its members. Riyadh interventional cardiology club semimonthly meetings. EPICC semimonthly regular meetings in eastern province with more than 100 attendee and 4 CME hours were accredited. Jeddah interventional cardiology club semimonthly meetings. Qassim interventional cardiology club semimonthly meetings. Collaboration with international organizations, such as Euro PCR, and Malaysian society of interventional cardiology. Organizing workshops and courses e.g. – Transradial workshop in collaboration of International Medical center in Jeddah. – The fifth annual Radial and CTO workshops in King Abdulaziz Medical city organized by Dr. Mohammed Balghith. Saudi Pediatric Cardiology Society (SPCS) serves as a vehicle to promote collaboration and communication between physicians and trainees across the country within this diverse and rapidly expanding field. The SPCS network helps facilitate development of clinical care guidelines, pan-Saudi research initiatives, educational programs for trainees and cardiologists and other health care members. 1. To promote knowledge of the normal and abnormal heart during growth and development, from fetal to adult life. 2. To ensure a high standard of professional practice in pediatric cardiology in Kingdom of Saudi Arabia. b) Promoting and supporting collaboration among members for the specific purpose of scientific research and professional development and continuos education activities including the creation of working groups. (Which may be proposed by members interested in particular subjects and shall be considered for approval at an Annual Business Meeting). c) Representing the interests of Saudi Pediatric Cardiology. d) Communicating and collaborating with other groups and organizations with similar interests around the world. e) Any other means that the Society may consider necessary. Nine board members, including the president representing Saudi pediatric cardiologist with their geographic and major health sectors in kingdom of Saudi Arabia. The President shall preside over the affairs of the Society, the Council and the Annual Business Meeting, and shall represent the Society or delegate this representation. The Secretary – General shall be responsible for the business of the Society, summon all the meetings, circulate programs to members at least one month before meetings, keep records of the proceedings and transactions of the Society. The Treasurer shall be responsible for the financial affairs of the Society, collect subscriptions, keep accounts and upon request will present a statement of account in the annual business meeting. The Scientific Secretary will organize the abstract collection and selection for the annual SHA meeting and should promote and facilitate the scientific activities and continuous medical education. 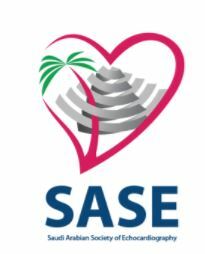 The Saudi Society of Cardiovascular Technologists SAUDISCT is a non- profit organization that promotes and encourages participation of the invasive and non-invasive cardiovascular technologists in their professional organizations. Their participation in the SAUDISCT will serve to enhance the perception of professionalism and high quality of care deliver to the undergoing procedures in invasive and non-invasive laboratories. The SAUDISCT is committed to provide education-networking opportunities to all members of cardiovascular technologists. Promotes the highest quality care to patients undergoing invasive and non-invasive procedures by providing scope of practice, orientation guidelines, position statements and written standards. Provides premium educational offering to invasive and non-invasive specialists at reasonable costs. Acts as an advocate for the profession. Supports invasive and non-invasive cardiovascular leaders. Update and publish studies and researches for accredited CVT programs, and medical journals. Community awareness, and preventive Heart diseases education for public and School students. The Society should support, co-sponsor and initiate registries/surveys of interest to be implemented across the country. Develop programs aimed to improve quality of care through specific tools implemented in the structure of the existing databases of surveys & registries. The SAUDISCT can initiate and maintain a culture of clinical trials and observational studies performed in the field of Cardiac Technology. ACHD sessions for 2 hours in the SHA 22 and 23. 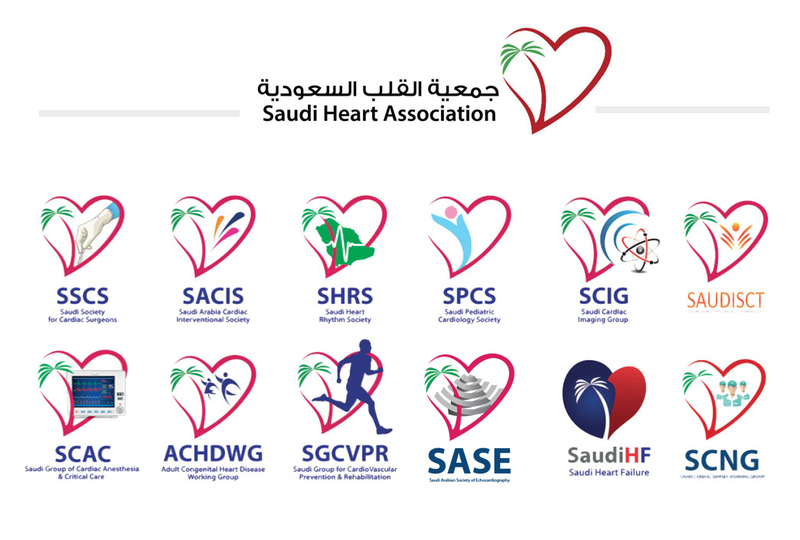 The Saudi Group of Cardiovascular Prevention and Rehabilitation (SGCVPR) is a Group of Health Professionals with multifaceted and multi-disciplinary specialities and functions who worked in cardiac centers and hospitals within all regions of Saudi Arabia. These includes a certified (Preventive Cardiologistand/or a Cardiologist who had a great interest in this field and ready to participate, Primary Care and Family Physician who had an interest and worked in the management of cardiovascular risk factors and modification, Exercise Physiologist and Physiotherapist who are certified in this field , or who had interest and had worked in similar exercise program, (e.g. at post bypass surgery in a cardiac center, Certified Cardiac Nurses who worked before as a Nurse Manager of CRP or had interest to work and participate in this field , Health Educators , Nutritionist/Dietitian, and Social Workers/ Psychologists). These group of health professionals worked together under the AUSPICES OF SHA and meet 3-4 times in a year with a pre-specified date and venue ( which will be rotational in different regions of the Kingdom) each meeting will be held in 1 day or 2 days. The Group is looking forward to see a comprehensive structural cardiac rehabilitation programs are well established in each cardiac center in Saudi Arabia and major hospitals which run a full cardiac service , As an obligatory service rather than being an option. Using the home visit as an adjunctive facilities to improve the low referral rate to this outpatient program and using different strategy to establish an appropriate community based program to maintain what was gained in this comprehensive program. Going back to the history and looking at the evolution of CRP and preventive cardiology initially, exercise based program proved its efficacy in improving CVD morbidities and mortalities but later on the randomized clinical trial proved that this will be more efficient if combined with a comprehensive secondary prevention concentrate, which have been declared by the AHA in 1995. ( ICCPR ); is to make this service as an essential service for any eligible patient suffering from CVD at any cardiac center within the Kingdom. Low referral rate to this program is recognizable worldwide despite proven efficacy with an expected lower referral rate in our area with newly born comprehensive structural program with probably lower capacity to accommodate the huge number of all cardiac patients, and also with other cultural consideration therefore, our second mission and objective is to overcome this by studying and analyzing this problem and create and probably enhance to use a new adjunctive facility to this outpatient program, such as the Home Visit and create specific patient criteria for them to be enrolled into this adjunctive program. 3) Our last but not the least target and objective is to establish a community- based program which have been used to maintain what have been gained at the oupatient program, in most industrialized country. Our goal here will probably be a little bit different, as we will be aiming to use this community –based program as an adjunctive facility; the same as the Home Visit by creating again specific patients criteria to be enrolled into this program in addition to its former use as a maintainance program. Through this meeting we share and participate opinion, identify obstacles and indulge into finding a solution. Create ideas which will be tailored by the most updated recommendations and guidelines, and to get expert influences and opinions by inviting other partner’s members of similar international group/society or association. Increase awareness of health professionals, health administrators, and health providers in the area about the crucial need for such a comprehensive program to reduce cardiovascular outcome and emphasizing on the cost effectiveness of this service. Subsequently, a call for action to help and facilitate achieving our goal to recognize this CRP and prevention as an obligatory service in each cardiac center within Saudi Arabia and looking forward to improve the service to its state of art. Increase the awareness of the cardiac patients and public about the significant importance of primary and secondary preventions and method to improve the life styles with emphasis on how effective this comprehensive CRP in improving CV outcome and improving quality of life. Subsequently,this will encourage patient to participate in this program and lead to the improvement of low referral rate. Encourage, supervise and design research and national project related to this field which help to produce a new recommendation and modification of guidelines that suite our ethnic group and our culture. Involved health administrator and businessmen, charity and industry to participate as honor members or through partnership to achieve our goal through moral, intellectual and financial support. To improve the standards of practice, and proper utilization of echocardiography by cardiovascular care providers in Saudi Arabia. Implement high performance and utilizing standards of echocardiography in order to improve cardiovascular diseases detection, and treatment. Train echo technologists the optimal, and complete diagnostic methods of image acquisition. Promote education and training of different modalities of echocardiography. Promote designated research in the field of echocardiography. Generated databases for echo findings in specific cardiovascular diseases in Saudi Arabia. Generate data base for echocardiographers and echo technologists in Saudi Arabia, and build a network of communication among them. International collaboration with worldwide echo societies, through conducting joint symposia, and scientific meetings. Organizing a 2 yearly conference in the field of echocardiography. First Echo workshop in Riyadh Military hospital, on 6/2012, with 120 attendees. 3 CME hours were issued. 2nd Echo workshop in National Guard Hospital, Riyadh, on 10/2012, with 180 attendees. 3 CME hours were issued. Organizing the Echo program in the SHA24, and inviting distinguished international speakers in the field. 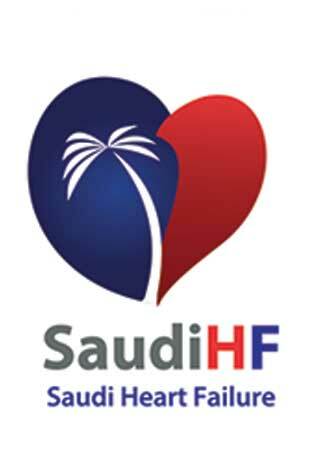 The Saudi Heart Failure Group (SHFG) will represent the first organized effort by heart failure experts from Saudi Arabia to provide a forum for all those interested in heart function, heart failure, and congestive heart failure (CHF) research and patient care. The objective is to improve quality of life and longevity, through better prevention, diagnosis and treatment of heart failure, including the establishment of networks for its management, education and research. Promoting research related to all aspects of heart failure and to provide a forum for presentation of basic, clinical, and population-based research. Educating health care professionals through programs, publications, and other media in the areas of basic science, clinical medicine, patient management, and social, ethical and economic issues to enable them to diagnose and treat heart failure and concomitant medical conditions more effectively. Educating the public, through brochures, media, and awareness meetings. Encourage primary and secondary preventive measures to reduce the incidence of heart failure; to serve as a resource for government, private industry, and health care providers to facilitate the establishment of programs and policies that will better serve the patient. Enhance quality and duration of life in those with heart failure. Promote and facilitate the formal training of physicians, scientists, and allied health care providers in the field of heart failure. Introduction of the concept of “Advanced heart failure” and its specific management, including assist devices and transplantation. Collaboration with international HF societies in research, and joint symposia. Activities 1) Heart Failure Journal Clubs: 2-3 meetings will be conducted annually to discuss recent articles and breaking news. 2) Heart failure case presentation: Interesting and difficult controversial cases in heart failure. 3) Heart Failure Annual Conference: Once a year with updates and reviews. 4) A fixed session in the annual Saudi Heart Association meeting, and to consult on the heart failure topics and plans 5) Heart Failure training courses: Directed to different levels of professionals interested in heart failure care 6) Heart failure awareness day: Directed to the public for introduction, definition and better awareness of heart failure prevention and management. Setting cardiac imaging standards that ensure quality patient care. Creating educational programmers and resources tailored to the needs of cardiac imaging professionals. Being a strong, effective and credible advocate for cardiac imaging in Saudi Arabia. Professionals for the public benefit by undertaking national training seminars, conferences and any other appropriate educational activities about the practice of cardiac imaging. Collaborate with major international cardiac imaging societies. Start cardiac imaging data registry allover the kingdom, since you can’t improve any thing you can’t measure. To encourage local cardiac imaging research and publishing in local/international meetings and journals. To have standards and benchmarks for training in cardiac imaging in Saudi Arabia. To foster optimal delivery of cardiac imaging services through professional education in Saudi Arabia. Establishment of standards and guidelines for training and practice of cardiac imaging to achieve quality performance. The promotion of research in cardiac imaging in Saudi Arabia. To Serve as a representative in health policy forums for SHA members in cardiac imaging. The Saudi Cardic Nurses Group aspire to achive high quality cardiovascular nursing care through promoting research and advancements to both Kingdom’s nursing population and patients alike. To establish a professional forum that support and contributes to specialize cardiovascular nursing knowledge and practice, driven by research, evidence, education and leadership. to provide national representation to all cardiovascular nurses practicing in KSA, and by helping to bridge the knowledge-practice gap. To serve cardiology professionals, and to pursue improvements in the care of patients, by offering and continuously improving our unique evidenced based full-service to provide an environment where excellence in patient care is valued and encouraged. To disseminate continuous learning in the science and practice of cardiology and other pharmacy fields, supported by state-of-the-art teaching and a culture which is aligned with best practice. We endeavor to ensure that our pharmacists contribute to the profession as world class clinical professionals and leaders.